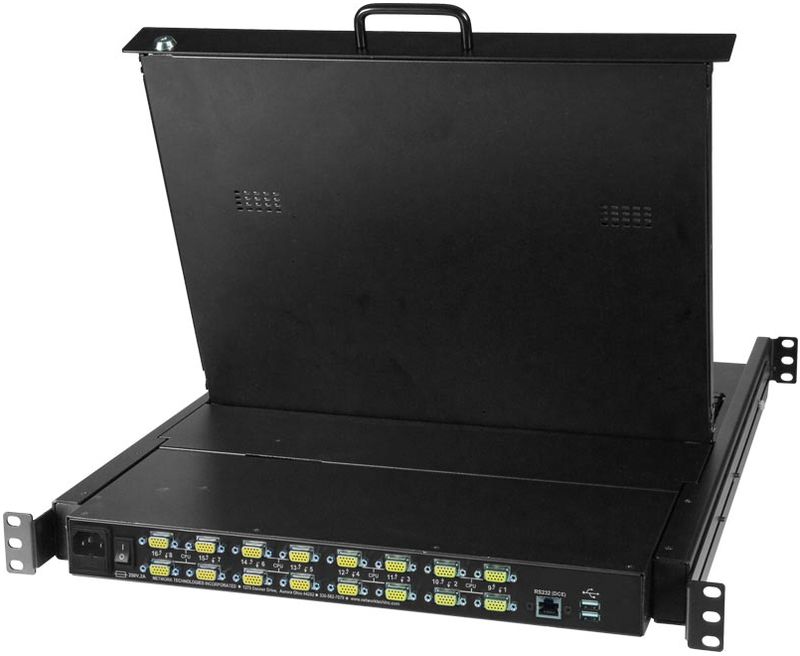 Also known as: Integrated USB KVM drawer USB switch, KVM switch built-in 1RU KVM drawer, rack mount USB KVM drawer switch, monitor switch KVM drawer, USB console drawer, keyboard monitor touchpad mouse drawer, keyboard LCD shelf, folding VGA monitor. Two optional transparent USB connectors for USB touch screen monitors, CAC card readers, interactive whiteboards, etc. Forward-folding 17" TFT/LCD VGA monitor. 1280x1024 video resolution for 17" monitor. Tilt LCD up and back to adjust to any comfortable viewing angle to 120° for 17" models. Control up to 16 USB computers (PC, SUN, and MAC) with VGA video. Available with two optional transparent USB ports to connect any two external USB 1.1 (low/full speed) devices, such as a touch screen monitor, interactive white board, or CAC card reader. Torque-friction hinges – monitor does not wobble, spring, or slam shut. Drawer locks into place when open to prevent it from sliding out of the rack. Dedicated microprocessors prevent CPUs from locking up, ensuring reliable control. 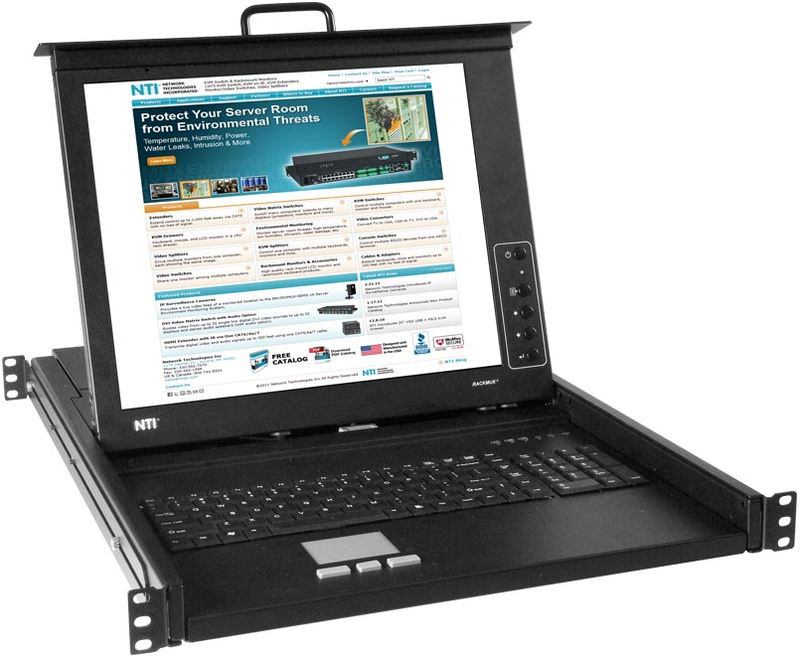 Available with Sunlight Readable monitor (17" models only) – call an NTI Product Consultant for more information. Forward-folding 17" Active Matrix TFT LCD flat panel VGA monitor. Drawer is adjustable to various rack depths from 24" (610 mm) to 40" (1,016 mm) deep.